Nick Saban has been named one of the seven finalists for the Eddie Robinson Award. The award is given each year to the best coach in college football. Nick Saban has already been named the SEC coach of the year. 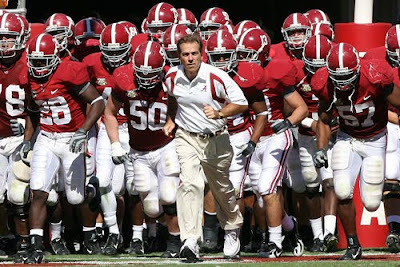 Coach Saban won the award last year, and won it the first time when he was at LSU in 2003. The winner will be named on January 5th. Saban is a wanker, go Dolphins!